Tanja Berlin spoke at our EAC Chapter meeting last night (I belong to the Bill Hill Needlearts Guild in Cochrane, AB). What a delightful, down-to-earth young woman (she confessed to being in her thirties), and what a gift to stitchers everywhere -- especially those who love thread painting (aka needle painting) and/or goldwork. Following an art degree as a painter, Tanja studied at the Royal School of Needlework at Hampton Court Palace, honing her craft and working on restorations as well as commissions. She showed us slides of her study experiences, including the 'boring bits' (G), and her progress to her work today. When she married, she and her husband emmigrated to Canada, where she now designs and teaches from her home here in Calgary. You can buy her kits online, and even sign up for free e-mail consultations when you need help! Tanja has designed several other kits for thread painting beginners: more pansies, the Alberta wild rose, a peony-like dahlia, and an autumn-kissed maple leaf. Then there are her goldwork and blackwork designs -- every one of them stunning. She assured us that her beginner's kits come with detailed instructions and then, remember, you can e-mail her for help as you go. 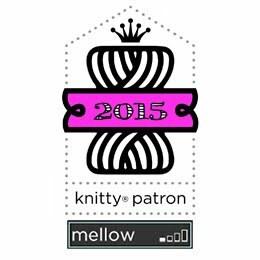 As our dear Sharon says, 'Pour a cuppa' and enjoy a site tour -- and perhaps a new project! 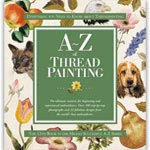 I am looking forward to seeing your thread painting - I havent tried it yet, but I do have the A-Z waiting in the wings!